Policies. Procedures. Regulations. These words define the generic protocol for nearly every occupation that exists. In the medical realm, many of these policies involve taking extra precautions to protect the information of patients. The impetus behind these actions is a desire for privacy. The financial industry has similar steps to protect information. My day job, as some of you know, involves working for a bank. This industry has developed many layers of verification to protect the identity of people who do business with each institution. Some find the process to be a drudgery, but our goal (like any other bank) is to provide beneficial products while simultaneously guarding the assets of any particular customers willing to invest. There are people out there, however that spend most of their time attempting to defraud banks and steal that which was hard earned. In their mind, their goal is to convince the institution that they are another person in order to gain the benefits of that person’s assets. This is why we have many ways of confirming identity. It is about protection and building trust. Fraudsters are everywhere. In every industry, and in every area of society. They want to convince others that they are someone else to gain rewards. When these people are successful, it inevitably results in a distrust in the institution that allowed them to perpetrate. Identity thieves do anything they can to look, sound, and act the part. 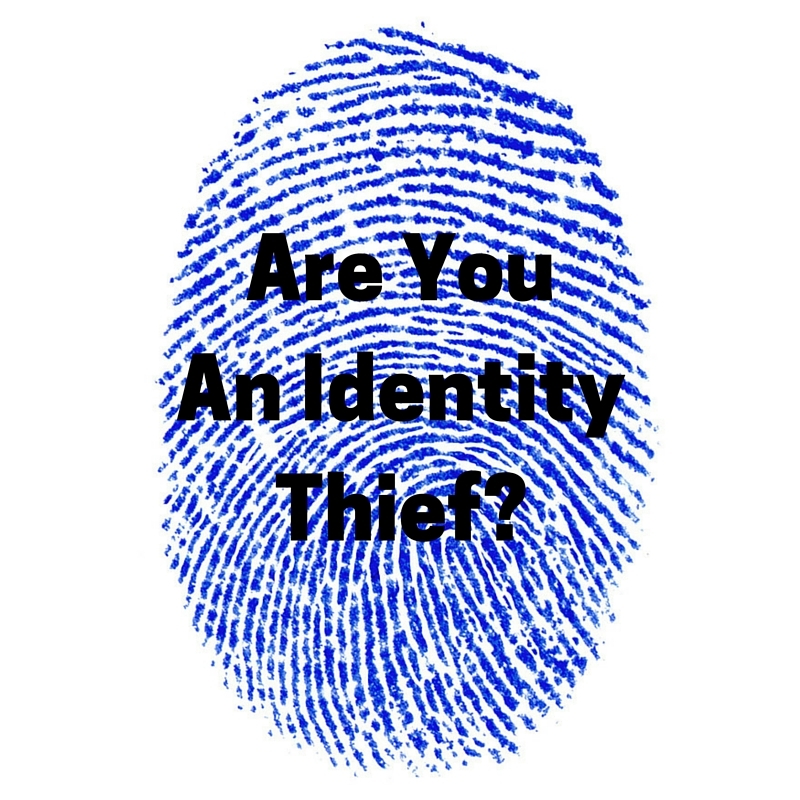 When talking about your spiritual life, the question needs to be asked…Are you an identity thief? Do you gladly accept the label of “Christian”, but abandon the life you are called to live? Do you claim the religion, but have no desire to deepen the relationship? Does the fruit you produce match the affiliation you claim? Do these seem like harsh questions? Why? In any other area of life, it is insulting to claim association without assimilation. To a person who does not believe in Christ, saying something like this may sound legalistic. How many of these same people, though, complain when a Christian does not act according to the basic principles they proclaim? Folks…the world is waiting for us to prove that following this redemptive process is not worth the struggle. We know what freedom from captivity truly looks like. That is what we should project to a dying civilization. There are things the Bible talks about that specifically feed and grow the Christian. These things are prayer, getting deeper in God’s word, fellowship and worship with a community of believers, selfless service, personal sacrifice, and generosity. These things don’t make people Christ followers, but they are identity verification. They are natural for those who follow with all their heart. There are far too many people who call themselves lovers of God, but do not live a life that reflects this claim. This develops a deep distrust with those on the outside looking in. Don’t be an identity thief. Don’t simply slap on the label, but forsake the Lord behind it. Allowing Him to take control means that you must leave your comfort behind, and accept a new identity. Following Christ means you look a little different. Perhaps strange. That’s okay. In my next blog, I am going to talk about this concept. Stay tuned. Thank you for this post and thanks for the analogy. Wonderful.